I always think that the best gifts are things that you want but don't necessarily need, i.e. the items which you'd feel guilty buying for yourself. For me, luxury candles fall under that category. 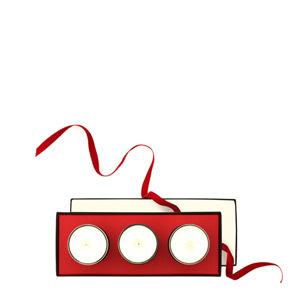 Luxury candles are a great gift at any time of year but are particularly fitting at Christmas. If you're uns﻿ure of where to start, look no further than NEOM Luxury Organics which I've previously raved about as one of my favourite candle ranges (click here to read). Previously known as Natural Magic Candles, NEOM Luxury Organic Candles are made using only vegetable wax and pure essential oils so they don't release potentially harmful pollutants as they burn. With 3-wicks, they look chic and give powerful therapeutic benefits. For Christmas, choose the Christmas Wish candle which combines Cinnamon, Ginger, Mandarin and Tonka Bean for a wonderfully festive fragrance. 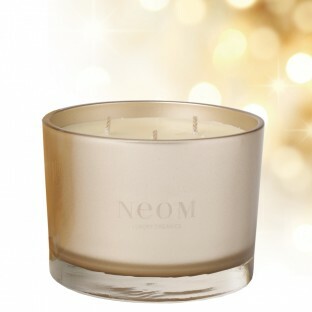 What's more, it stays true to the Christmas spirit as for every candle sold, NEOM donate £1 to the Make A Wish Foundation which grants wishes to children and young people fighting life-threatening illnesses. Diptyque Candles make a true style statement and, as violet is one of my favourite scents, top of my personal Christmas list is Diptyque's stunning Violette Scented Candle. 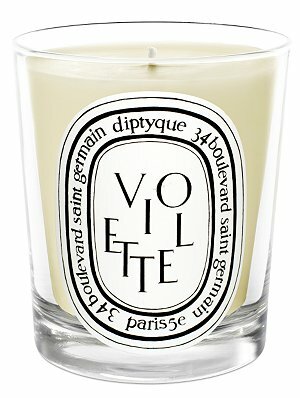 Diptyque Candles may be pricey but you only need to burn them for a short time for a room-filling fragrance. If you're unsure of which scent to choose, the ever-popular Baies is a safe bet, whilst Figuier is a unisex fragrance which makes a good choice for couples. Finally, travel candles make a great gift for someone who is always on the go. Jo Malone is the go-to brand and this year's offering of a trio of candles, comprising a Pine & Eucalyptus, a Pomegranate Noir and a limited edition Roasted Chestnut is sure to fly off the shelves.